Earth’s continents also seem to show that its crust is broken. The continents more or less fit together to form a whole. The combined continents are called a “supercontinent” with the name “Pangea”. When the continents are joined together like a puzzle, the difference of the sides of the earth is more clearly visible. 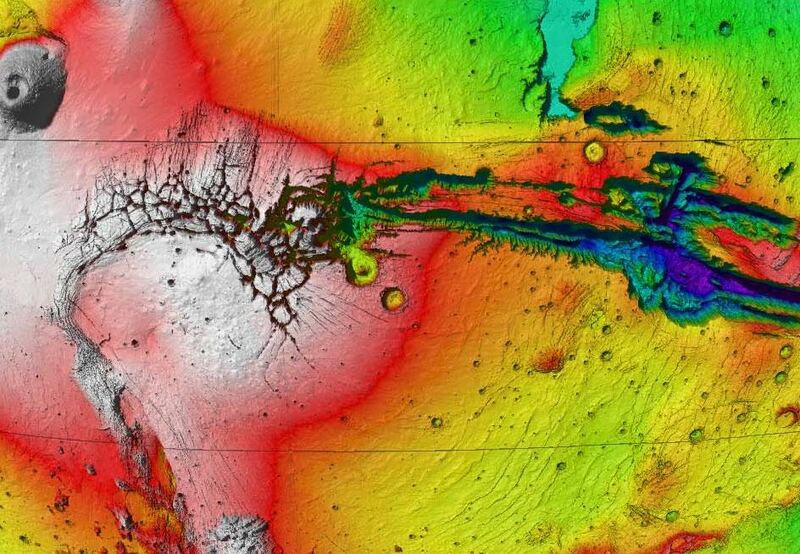 Why did the crust of Mars and our earth break? Note: Pangea is a reconstruction, not a pure observation. The moon, Earth and Mars all show that they are very different on one side than the other. Mars and the moon both show lots of cratering on one side, while the other side does not show many craters. The earth does not show that many craters. The earth does show one side that is completely covered in oceanic crust (the Pacific side) and the other side is mostly covered with continents. Why is this? How many impact craters should there be on earth? The chance that the earth gets hit by a meteorite is 19 times larger than the chance that the moon gets hit (due to size and gravity). So there should be 36.000 craters on earth larger than 30 km diameter, of which 100 larger than 100 km diameter. Statistically, there could also be one or two craters of 4000 to 5000 km in diameter. These values are attained by simply multiplying the number of craters on the moon by a factor of 19. It is not entirely sure whether or not this is the right method, because of some uncertainties. One of the uncertainties is that many craters on the moon could be secondary (from rubble from a large exploding meteorite that impacted elsewhere on the moon). Still, one can be sure that there should have been quite a lot of impacts on earth. Much more than the ~200 that are confirmed today. Where are all those craters? It is possible to estimate how much energy has been exposed to the earth by impacts, based on these values. It is in the range of 1E29 to 2E30 joules. That is in the same magnitude as the total heat energy inside the earth.